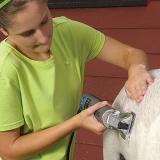 Requires only one screwdriver and just 3 minutes to switch from a shear head to a clipper head. 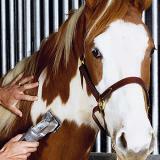 Clipper head uses include: clipping meat goats, dairy goats, cattle, and pigs for show, slick shearing lambs, body clipping horses, clipping llamas and alpacas and making outdoor dogs cooler & more comfortable in the summer. They've also been used on imitation turf! 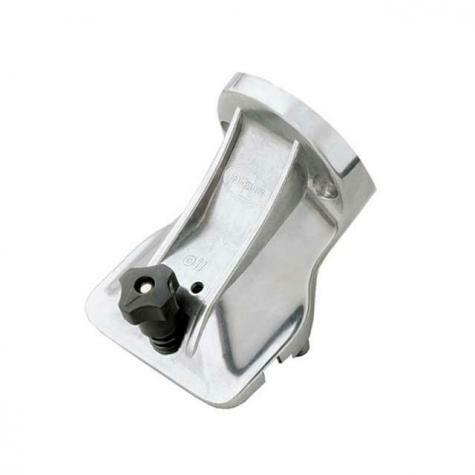 Internal roller bearings instead of sleeve bushings create less heat so they last longer. Requires 2 screws for attaching to motor. Sold separately. Requires a screwdriver and about 3 minutes to change heads. Will drive Premier and Lister clipper blades. 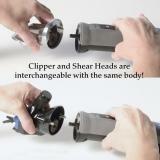 Interchangeable clipper head fits onto same motor as our shearing machine. Less 'down' time when changing blades. Runs cooler. 15% less than our old style heads. See PDF above for installation, tensioning and oiling instructions. WILL NOT FIT THE PREMIER 1000. This is fantastic! I was so pleased to learn I could use the same body from the shearer and change the head to make it a clipper. 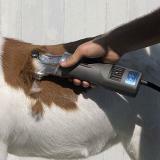 Now I can use the same machine for shearing, show clipping the sheep and clipping horses! Premier products are the best! Works Great and interchangeable with my other head. I bought this to replace my old clipper head that no longer worked right. 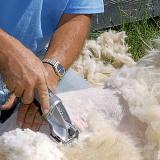 Since putting the new head on the motor I'm back to clipping show lambs with my favorite set of clippers! Looking back on it, I should have bought the clipper head first instead of the shearing head. It is fantastic. I use it to shear my colored angora goats, and it is lightweight, easy to handle and best of all, cuts through the mohair like butter without nicking my goats, as the shearing head can. I use the medium clipper blade set, and I love them.